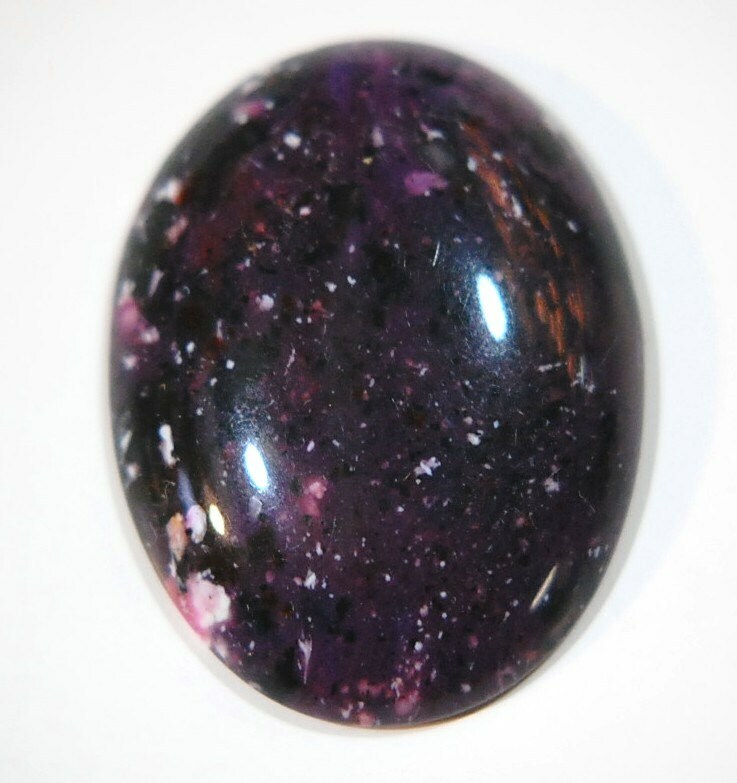 This is a vintage acrylic cabochon that was made in Italy. It is purple with black and white speckles. This has a flat back and a domed front. It measures 40mm x 30mm. You will receive one piece. I have this design in other colors. Absolutely beautiful and super quick shipping! Highly recommend this seller.